The Department of Divestment has been renamed as Department of Investment and Public Asset Management or 'Dipam', a decision aimed at proper management of Centre's investments in equity, including its divestment in central public sector undertakings. The new department has been mandated to ‘advise the government in the matters of financial restructuring of central public sector enterprises and for attracting investment through capital markets’, as per a notification issued by the Cabinet Secretariat in this regard. 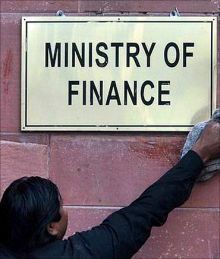 Finance Minister Arun Jaitley had announced renaming of the Department of Divestment in his Budget speech for 2016-17. "We will adopt a comprehensive approach for efficient management of government investment in Central Public Sector Enterprises by addressing issues such as capital restructuring, dividend, bonus shares, etc. “The Department of Disinvestment is being re-named as the Department of Investment and Public Asset Management (Dipam)," he had said. The Dipam will work under Finance Ministry and it will deal with ‘all matters relating to management of central government investments in equity including disinvestment of equity in central public sector undertakings’. It will also deal with ‘all matters relating to sale of central government equity through offer for sale or private placement or any other mode in the erstwhile central public sector undertakings’, the notification reads. All other post disinvestment matters, including those relating to and arising out of the exercise of call option by the strategic partner in the erstwhile central public sector undertakings, shall continue to be handled by the administrative ministry or department concerned, where necessary, in consultation with the Dipam, it said.